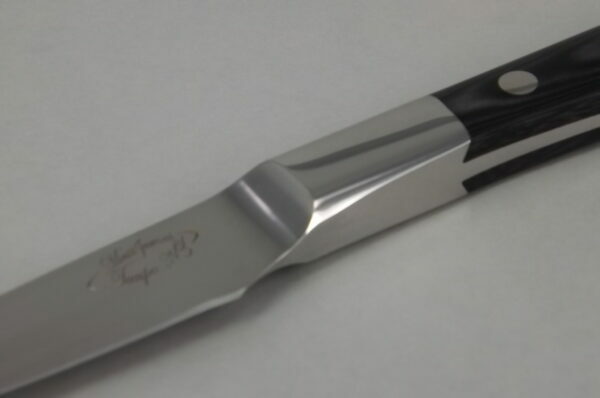 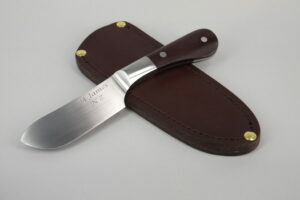 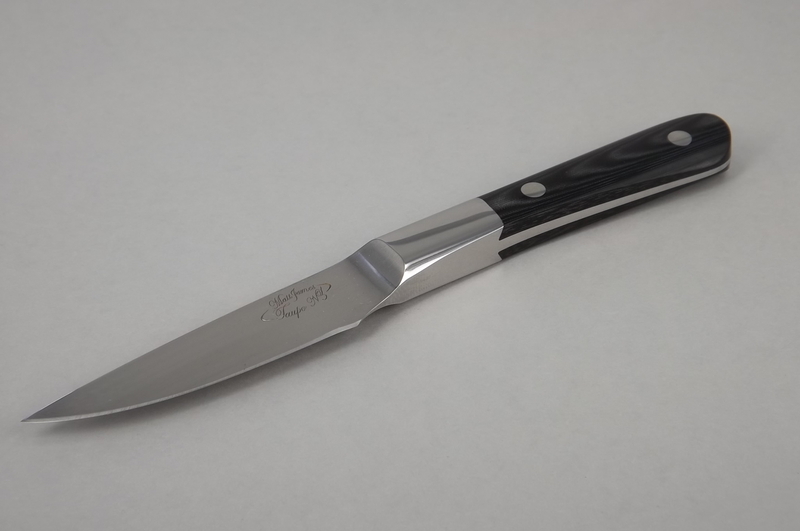 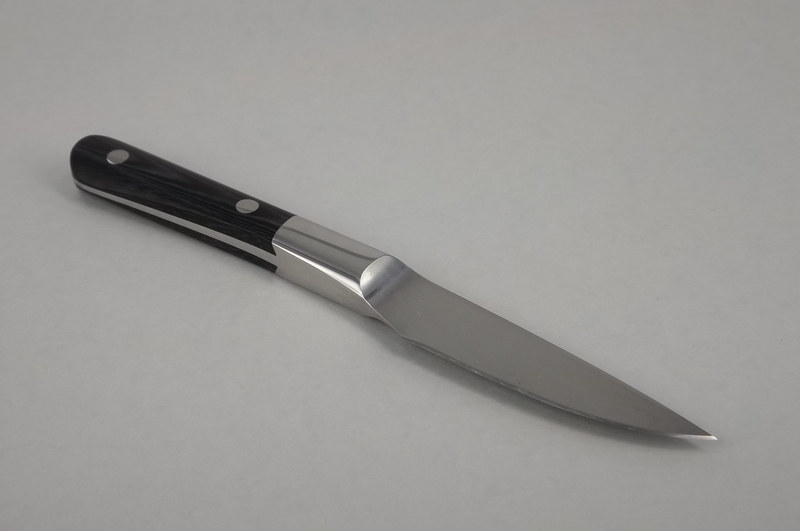 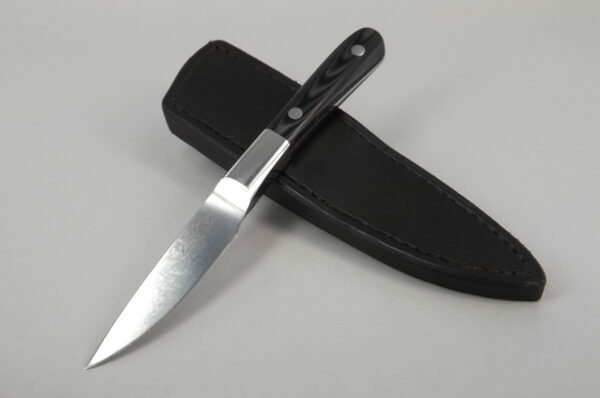 This small game knife is forged from 5160 high carbon steel. 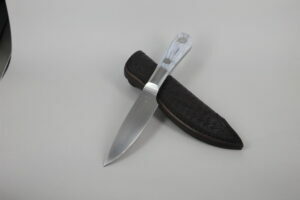 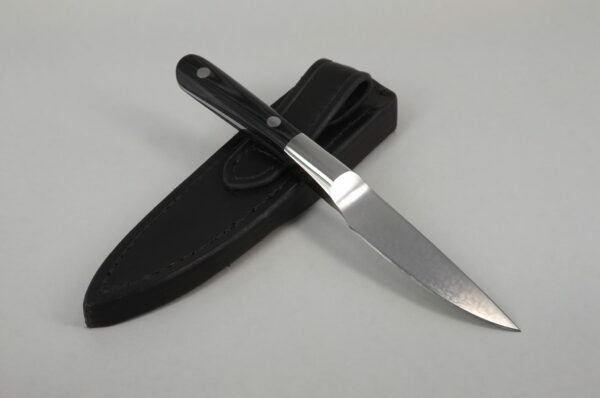 The handle material is black linen micarta. 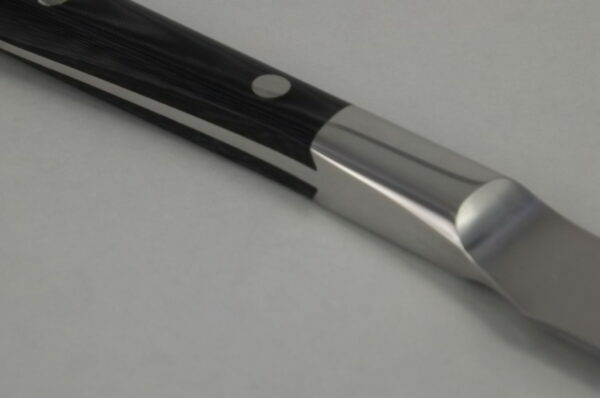 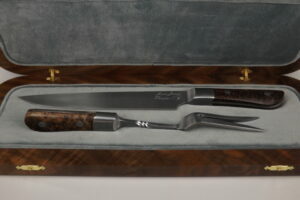 The handle material is dovetailed in behind the bolster area. 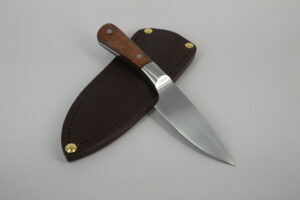 The sheath is hand stitched vege tanned leather.